There are numerous unique health benefits of walking, and Wellworks For You can help you to make the most of them with fun, effective pedometer programs that produce real results. Remember in elementary school when your class was split between “bus kids” and “walkers”–those who rode the bus to school and those who walked? There was always a certain appeal to being a bus kid, but maybe those walkers were on to something. Maybe, all these years down the road, they’re the healthy ones. That is, if they kept up with their walking habits. Because, you see, walking might not be the fastest mode of transportation, but it has a myriad of notable health perks that all of us can benefit from. Walking for health benefits is an easy, manageable way to move towards a fitter, healthier you–whether that means weight loss, increased muscle mass, or a stronger heart. 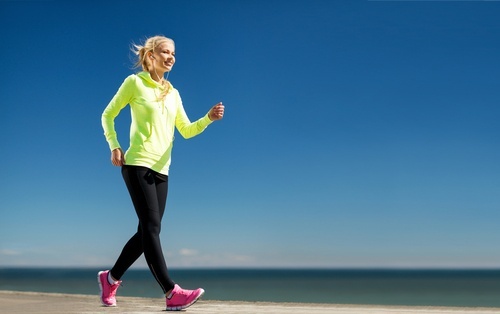 While running gets all the glory and attention, there are numerous unique health benefits that walking–a much lower-impact activity–has to offer. In addition to these health benefits of walking, for those who are more out of shape, walking is a much easier form of exercise to transition into than almost any other activity. If walking for health and weight loss isn’t convincing enough to get you up and walking, then consider the additional mental, emotional, and social benefits of walking. Walking has been proven to increase energy, furthermore, it improves your mood and emotional wellbeing. Those dealing with depression or anxiety can strongly benefit from the endorphins released by walking. In terms of social benefits, walking allows you to catch up with old friends and make new ones around your neighborhood and offers the opportunity to buddy up with a walking partner. And, who knows, depending on where you’re living walking just might be faster than braving the traffic. Either way, it’s definitely better for your health. Using a pedometer allows you to make the most of walking health benefits. An effective, modern pedometer can not only track the steps you make, but can also comprehensively track the progress you’ve made in your walking and overall fitness. Pedometers can sync with your smartphone or software to enable you to assess calories burned (and numerous other health considerations), set personal goals, and analyze personal progress, such as the average distance walked per week. Wellworks For You has partnered with various devices, such as Fitbit, Jawbone, and Garmin, to offer the most comprehensive and enjoyable pedometer programs available. If you or your coworkers, friends, or family want to achieve the health benefits of walking, but don’t quite have the motivation to create your own disciplined walking regime, our pedometer tracking programs will help you to do just that by helping you create challenges, design custom routes, view satellite imagery, and track progress. If you’d like to learn more about how a pedometer program from Wellworks can help you get the most out of walking for health benefits, contact Wellworks For You today!